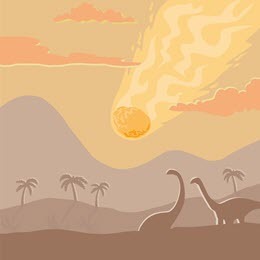 If, 66 million years ago, you were a dinosaur going about your usual dinosaur business, you would have been more than a little startled when your day was interrupted by a giant flaming meteor landing nearby! 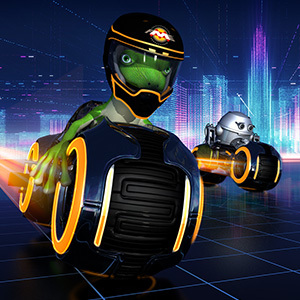 In the same way, in not many days time, the release of FME 2016 and the FeatureWriter transformer promises to shake most FME users to their very core! So let’s check it out and see what it does! 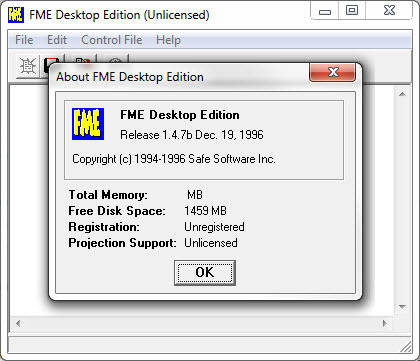 In 1993 (or should we say, approximately 12 million minutes ago) FME was created. It was a format translation tool with a small – but growing – number of Readers and Writers. The image to the right is the earliest known fossil evidence! In time it evolved to include data transformations between a Reader and a Writer, and we coined the term “Spatial ETL” (Extract-Transform-Load) to describe it. But, because Readers and Writers were separate objects to Transformers, the DNA of a translation was limited to this E-T-L structure. You couldn’t, for example, have T-E-T-L-T because transformers couldn’t come before Readers or after Writers. So, FME2011 included a FeatureReader transformer, to allow reading of data to occur mid-translation. And now, FME2016 brings us the even more important FeatureWriter transformer, to allow writing of data to occur mid-translation. The big advantage here – like in the screenshot above – is that you can carry on with more transformers after writing data. Previously you could use a shutdown script, or chain several workspaces together, but this is a far superior solution. 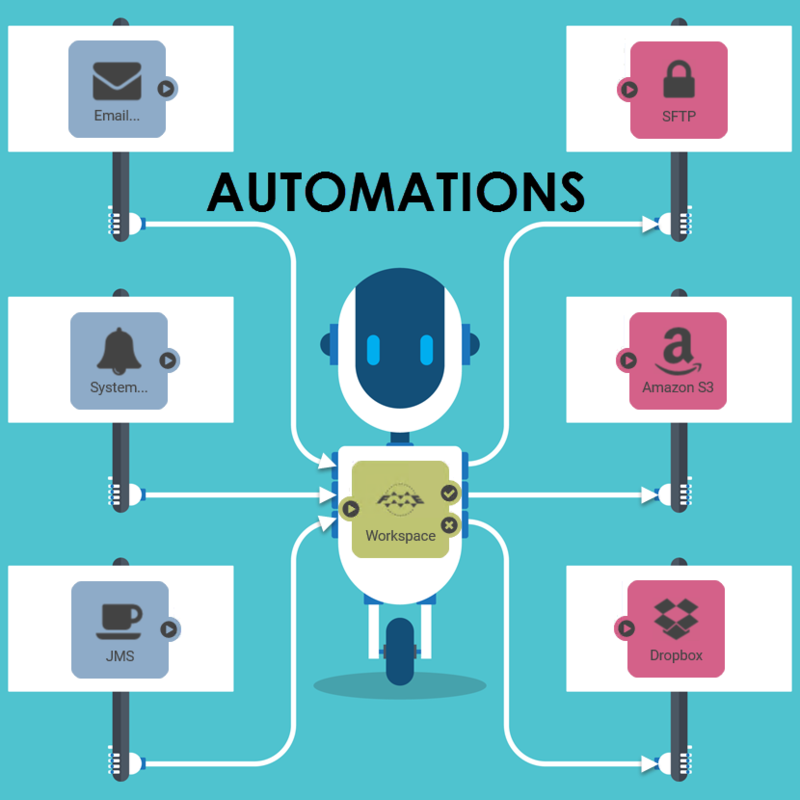 Automatic attribute definition is particularly useful here, as it automatically updates to reflect what information is being connected to it. 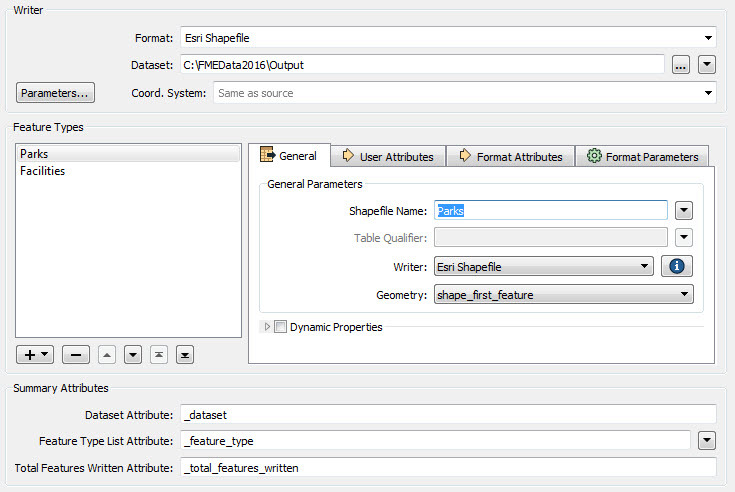 Notice in the above how the list of feature types is exploded, and then used in the FTPCaller to define the files to be uploaded. 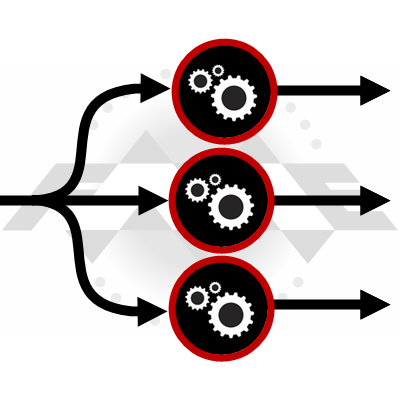 FME Server is all about automation and so chaining workspaces together (or wrestling with Python) is a common way to automate a series of steps interrupted by writing data. For that reason the FeatureWriter is likely to be even more important than on a Desktop environment. This is a great example of how our workspace design will change as we start to use the FeatureWriter. Thanks to De Wet for pointing it out to me. We may also add this to the context menu for the transformer itself, which would be useful. 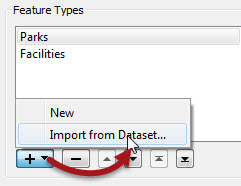 To manually add a new feature type use the New option in the Feature Types window. It’s equivalent to Writers > Add Feature Type on the menubar. The Import option here is the equivalent to Import Feature Types. We don’t need a “copy from Reader” option, because you can just connect up a Reader feature type in the canvas to do that. Incidentally, if you look at the dataset fanout for a normal Writer, you’ll see that the method is now similar to this too. You don’t specify a prefix or suffix or folder name – you just pick an attribute or concatenate something together using a text editor. This is probably one of the bigger issues. 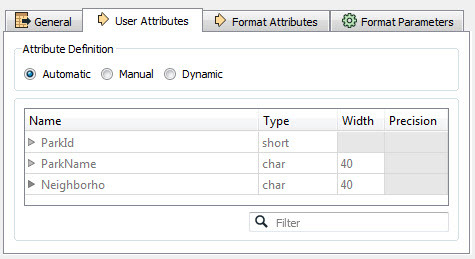 Some format Writers automatically convert attribute names to UPPER or lower case. The FeatureWriter does not support this. For example, if I write the attribute ParkName to Oracle, when it is expecting PARKNAME, the Writer will automatically fix this. The FeatureWriter will not. 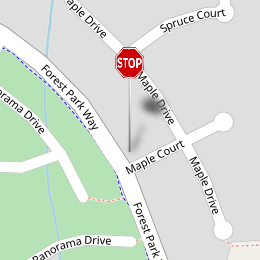 PARKNAME would end up with a null value. You can use the BulkAttributeRenamer transformer to sort out your attribute names prior to the FeatureWriter, but my contact in the development team suggested that, for now, you avoid using such formats with the FeatureWriter. The key ones would be PostGIS, Oracle, or SDE30. 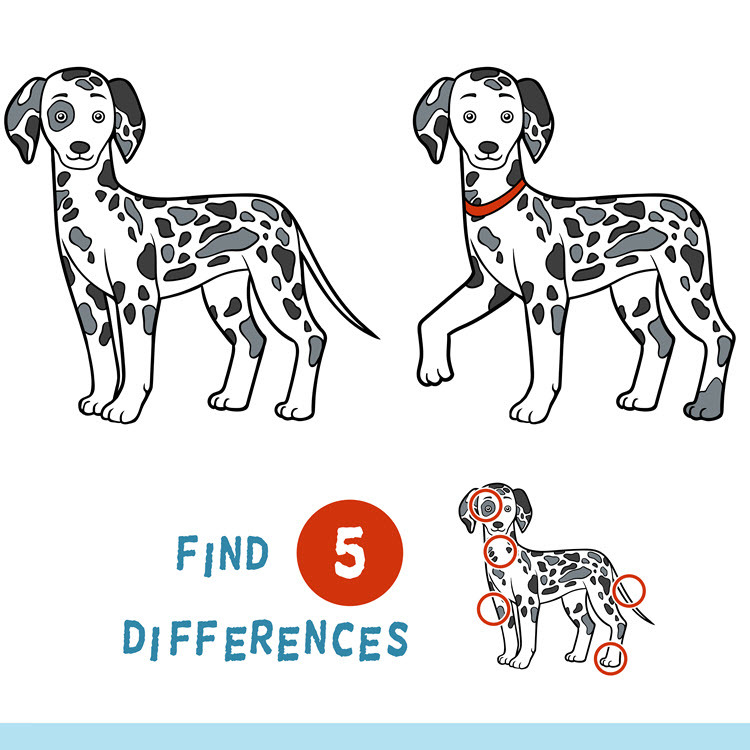 If you do try these formats, check and double-check to make sure you are getting what you want. Redirect to Data Inspector doesn’t have any effect on the FeatureWriter (or vice versa). Even though the log reports the data is redirected, the FeatureWriter will still write it! Basically, be aware that this transformer might have a few shortcomings for now. But when I first used it, a lot of the problems I thought it had, were really shortcomings in my own thinking. 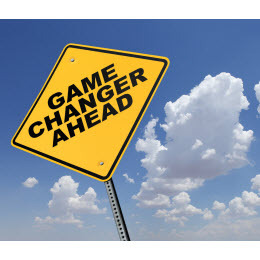 It’s the type of change that is going to affect completely how we use FME. If I find any more limitations in the near future I’ll update this post with them. But remember that you don’t have to use it! You can stick to using the normal Writer functionality if you are more comfortable with that. Like the meteor that wiped out the dinosaurs, this transformer will have a huge impact! For the first time you can encapsulate an entire translation (Extract, Transform, and Load) all within transformers. In fact, in future FME versions, it’s not impossible that we will remove all Readers and Writers, and have FeatureReader and FeatureWriter transformers only! Life should be way simpler. Look at the Writers menu on the menubar and imagine how easier it will be with these in a single FeatureWriter dialog. Of course, the extinction of Readers and Writers might be a frightening thought. It is to me! But, the death of the dinosaurs – as Wikipedia puts it – “also provided evolutionary opportunities”, and the same will happen here. Your workspace practices will likely adapt to use the new functionality, and be able to thrive in ways you had never thought possible. For example, what might you do with a FeatureWriter contained inside a custom transformer? We think it could form the basis for a “Custom Writer” – in a similar way to the (criminally underused) custom format (.fds files). It would be a big help in handling web formats, so look for us to create that capability in the near future. I like to get my terminology correct, but astrophysics is just confusing. From what I can tell, a big rock in space is called an asteroid. A chunk that breaks off is called a meteoroid. When it enters the Earth’s atmosphere, it becomes a meteor. Whatever impacts the Earth’s surface is called a meteorite. Unless it is really bright – or you are a geologist – when it is a bolide. It’s not clear to me if an asteroid that doesn’t break up is still an asteroid when it impacts, so I went with meteor. Google the number of minutes in 22 years and you get lots of different results. I guess it depends on whether or not you take leap years into account. But it’s 12.5 million, or near enough. As Alan Partridge would say… JURASSIC PARKKKK! Does that mean that the official release version of FME (Desktop and Server) 2016 will be available on that date (january 19th)? Desktop yes. Server needs a wee bit more time in the oven. I just want to add on limitations that there is no option for indexing the feature to be written. Please let me know if I am correct. Can you make it pass through the initiator? Even if the data is contained in the summary it is more clunky that just passing the initiator through, perhaps as multiple output ports?